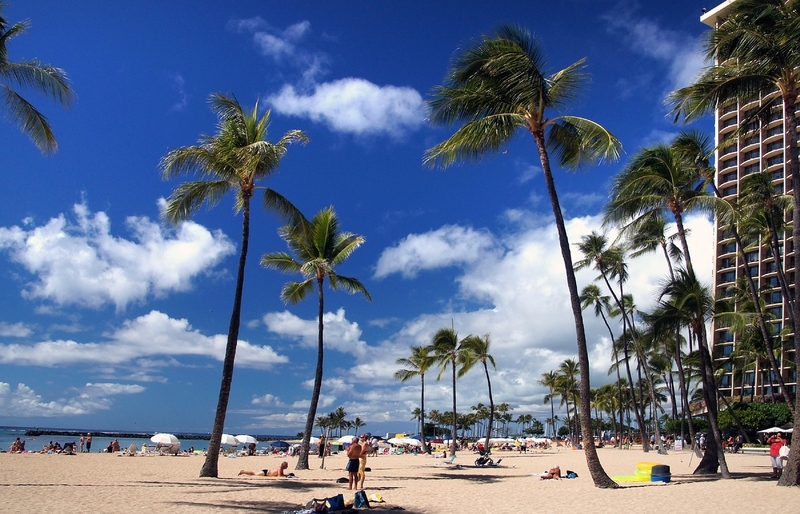 Waikiki Beach is Hawaii’s most popular and most visited beach on the Hawaiian Islands. 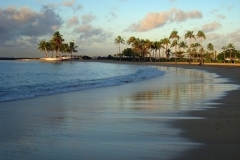 The beach runs about 2 miles from Duke Kahanamoku Lagoon (also called Hilton Lagoon) in the west to San Souci Beach, Kapiolani Park in the east. One of the great things about Waikiki Beach is that the beach is broken up into different sections that each have there own unique feel and activity specialty. With over 4 million visitors per year finding a spot to lay your towel during the high season can be hard. 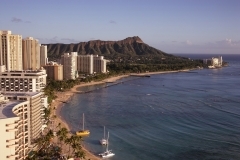 I created a list of the 7 beaches of Waikiki hopefully, this list will help you narrow your search. The first beach from the west is Duke Kahanamoku Lagoon. This public lagoon and beach (protected seawall) provide the calmest swimming on Waikiki Beach which makes it perfect for children. 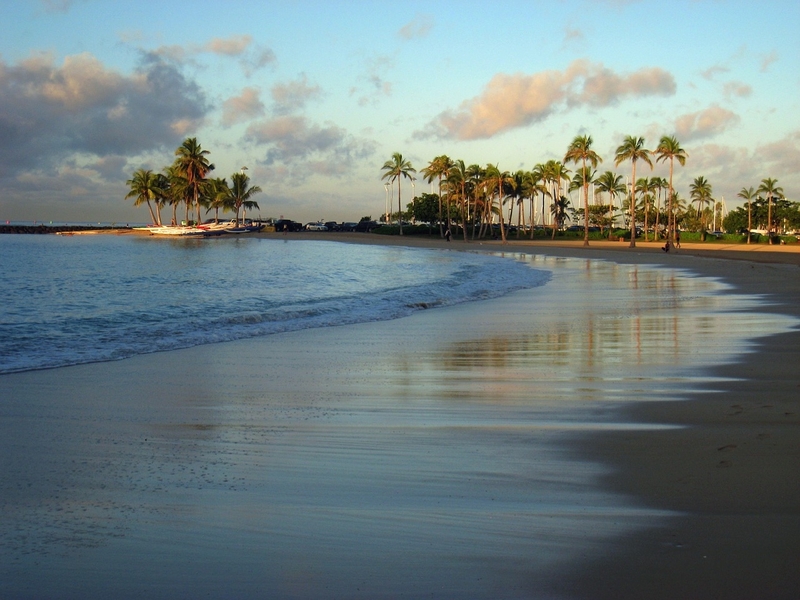 You can reach the beach by walking through the Hawaiian Hilton Resort or through the back of the Ilikai Hotel. There are some metered/free parking but you may have to walk a bit to reach the beach. 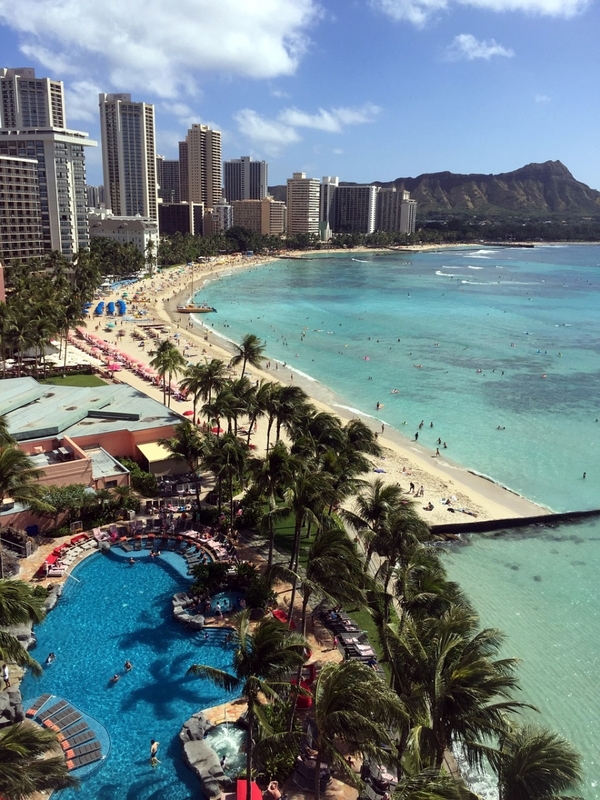 Anywhere from the Hilton Hawaiian Village and Outrigger Reef on the Beach is great. Located in front of Fort Derussy Beach Park. This beach is less crowded than other parts of central Waikiki and makes for a nice place to go and play beach sports like beach volleyball and racketball. Best for picnics on the grass under a palm tree or picnic tables. Located in front of Halekulani Hotel, this beach has been eroding and is becoming more of a point then a beach. 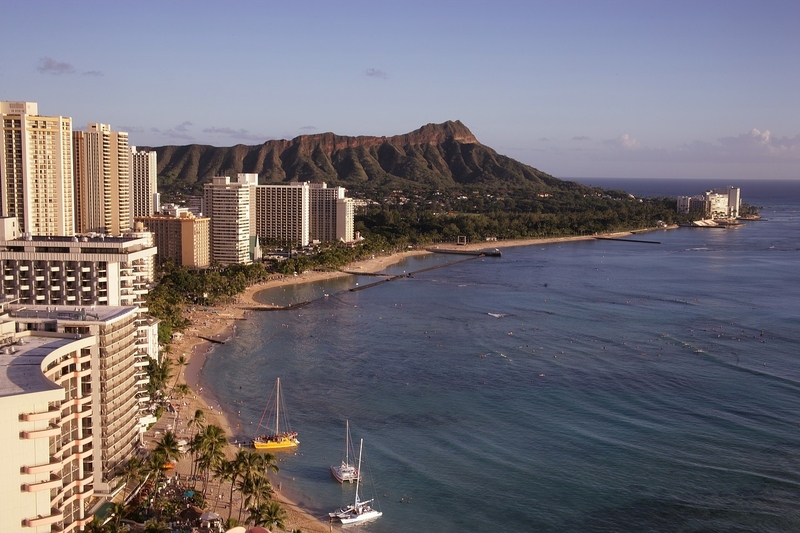 Located by the Royal Hawaiian Hotel and Moana Surfrider Hotel, is one of the busiest sections of Waikiki beach. Popular for those who want to take a catamaran, a surf lesson or simply play in the ocean among lots of people. This extremely busy beach is by the Duke Kahanamoku Statue and not recommended for anything other then people watching. The beach is enclosed by concrete walls. Located across from the Kapiolani Park this beach is a favorite by locals and starts my favorite stretch of Waikiki Beach. The lack of crowds and hotels lining the beach makes this the best beach to relax. It’s also the best place to go snorkeling in Waikiki with a flat bar of reef that stretches most of the beach. It’s also a great place to jump into the water after hiking Diamond Head. Be sure to wear coral reef safe sunscreen!